How entrepreneurs can overcome the typical funding obstacles of obtaining real money after accessing free money. Four tips for entrepreneurs or start-ups on how to overcome the legal challenges of entering the fintech market. Starting a business may actually be the easy part, but how do you scale it? When is the right time for a founding CEO to step aside? Sometimes the entrepreneurial traits of a small-business owner are not conducive to successfully creating and running a large to global business. 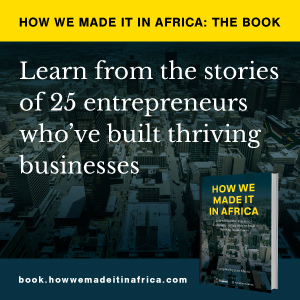 Tips from Johnni Kjelsgaard, founder of GrowthAfrica. We speak to an expert in the field. Is entrepreneurship a trip best travelled alone? Just as important as knowing when the time is right to get a partner involved, is knowing when it isn’t. Brand ambassadors are active participants and smarter decision makers who live the behaviours that organisations require for long-term success. This case study unpacks Soda King’s experiences of building a pan-African franchise business. South African businesswoman Rapelang Rabana believes every entrepreneur has a unique journey to travel. A South African start-up spice manufacturer shares the best lesson he has learned in food manufacturing.